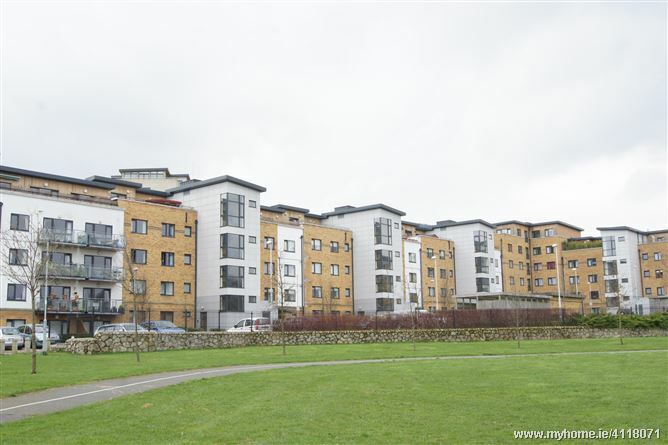 DNG is pleased to bring this lovely two bedroom ground floor apartment to the market. It is owner occupied and as such is presented in excellent condition throughout. It boasts two large balconies, one east, one west facing so the new owner will benefit from natural daylight at any time of day. The property is both spacious and practical with well-proportioned rooms and excellent storage. In addition there is designated parking for one car. Belarmine is a well-regarded development nestled at the foot of the Dublin Mountains. Stepaside and Sandyford Villages are within a stones throw while Dundrum town centre, Stillorgan shopping centre and Carrickmines Retail Park are all within a fifteen minute drive. Glencairn Luas station is 1.3km from the property... a nice distance to walk before and after work! The number 47 bus also serves Belarmine and has its terminus there. Gaelscoil Thaobh na Coille is within the development as is a Crèche, playground and an excellent local convenience store and pharmacy. Plumbed for washing machine, ample storage. Fully fitted kitchen with wall and base units, tiled floor. Spacious living space with access to balcony. Laminate wood flooring. Double bedroom with built in wardrobes. Door to balcony. Bath with shower fixture, W.C., whb, part tiled walls, linoleum floor. •	Approx. 71 sqm / 764 sq. ft.